The music therapy program is designed for students who want to provide therapeutic services to people using music. Students must be strong musicians and find satisfaction in using music to help with non-music areas and skills, rather than as a goal in itself. Students’ music skills will expand during their music therapy course work from performing on their principal instrument to also including functional piano, guitar, and voice skills, using other accompanying instruments such as the Q-chord and autoharp, and developing skill in using percussion instruments. The music therapy program requires good intellectual skills as music therapists are required to use analytical skills in determining clinical goals and writing skills in documentation. Music therapy majors may work with any age group and with people with a variety of disabilities. As a member of a therapeutic team or private practitioner, the music therapist participates in the analysis of individual problems and the establishment of treatment goals before planning and carrying out music-related treatment. Music therapists may also do administration in various health-related settings and, with advanced degrees, may become university faculty. 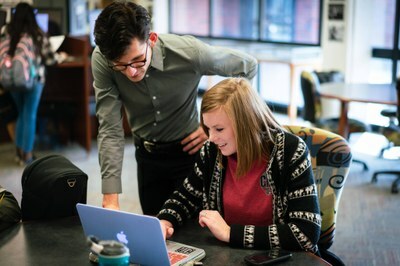 The liberal arts degree in music affords the student the opportunity to pursue the study of music at the collegiate level and also to combine the study of music with an outside field. In some cases, we have developed some specific areas of emphasis but the Bachelor of Arts in Music degree offers the student a wide array of choices, limited only to his imagination. This degree is popular with students who want to eventually earn an advanced degree in medicine, law, or some other area. A professional degree in music is a highly concentrated degree with approximately 85 of the 131 hours in music. There is a solid general studies core of subjects included in this degree as well. Most of the students who pursue this degree will go on to graduate school and to more advanced study in music.